While things have improved dramatically in the construction industry in the last several years, there's no denying that there are still a lot more job seekers than jobs out there. Nothing is a better calling card than a successful project. But of course, your firm first has to get its figurative boot in the door. 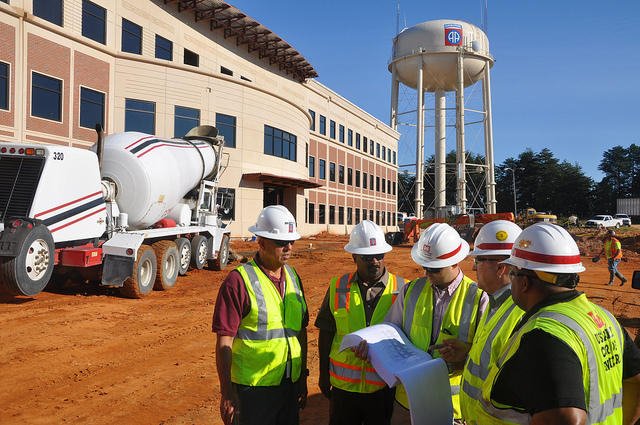 Are you wondering how to run a successful construction company? Or how can your company stand out in a crowded field? Like the song says, “The little things can mean a lot”. Read the following 5 tips for contractors to win jobs. 5. Do Your HomeworkRemember how you weren't quite prepared for that presentation in school? How the kids laughed at your stumbling? How the teacher wanted to have a chat after class? That potential client is going to be even less impressed by your lack of knowledge about their project. Don't just thoroughly review that scope of work before bidding. For extra credit, research the client and learn about their practices and expectations. 4. Find Your NicheIt pays to specialize in a field these days, especially in the construction industry. If your firm specializes in eco-friendly building and office and hotel construction, your firm could be working for years to come. 3. It Pays To Advertise EverywhereThere's no better advertisement than word of mouth. And signs, telephone books, and other directories aren't going anywhere. But if your company doesn't have a website, it's time to get one. Don't forget to keep it updated! And open a Twitter account and make some Facebook friends, in addition to utilizing other social media. 2. Be ProfessionalIt's great that you have a friendly, relaxed company. But don't be so relaxed that you miss meetings, lose paperwork, have a sloppy worksite, don't see the need for safety meetings (they're now required for many state and Federal projects), and don't see the need to clean up after a job. 1. Change Is GoodThere are some fundamental elements of building that will always be with us. But a firm that accepts that there’s always room for improvement in the form of staff education, safety practices, adopting new technologies like Raken, and routinely upgrading equipment will find themselves accepting a great deal of work and winning construction jobs.